This is covers a common issue many face when they have many items in their list. You try to view the contents of a SharePoint list and this message appears. Note that if you’re on a shared hosting plan, then this option is not available for you. Navigate to Central Administration. You can get to it by going to the SharePoint server and searching for "Central Administration" under the start menu. 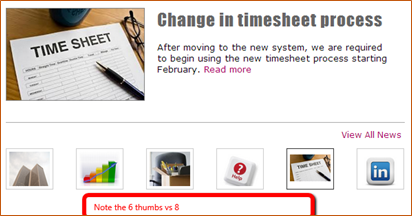 Go to Application Management > Manage Web Application and click on your web application to select it. In the Ribbon, click on General Settings drop down and choose "Resource Throttling". In the "List View Threshold", increase the value by 2 fold and click OK. Check the list now. Keep increasing the threshold if the error persists. In your view find out what the view if filtering or sorting on. Lets say it is sorting by category and filtering by status, then both those fields need to be indexed. It’s very easy to add something a column to the index. 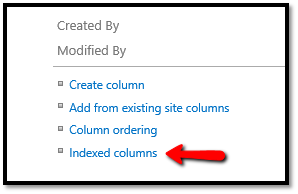 Click on the column "Indexed Columns"
Under primary column select the column you want. Now try going back to your view and check to see if the list loads. If it doesn’t make sure all the needed column are indexed. There is some really good news on this topic. The issue with the listview threshold of 5000 is something that SharePoint 2016 will resolve on its own. This limit will not be an issue in this version. SharePoint 2016 will not be release until 2016. Amit, you are right on both. In O365 – Your only option is Option 2, which is to create the indexes. In SP 2016 – The limit is still there in the web app. They did improve the locks and create auto indexes. One given solution is to index columns. Indexing columns is the operation that won’t run because of the exceeded threshold. Can I get around this without increasing the threshold? I’m also hitting the issue when I try to index columns. Are you on O365 or sharepoint on premises? Did you try solution 1 above? that one will work for sure usually.